suddenly anti-social (sharing your pursuits becomes a chore). If you can relate, I’ll bet you’re in online business! 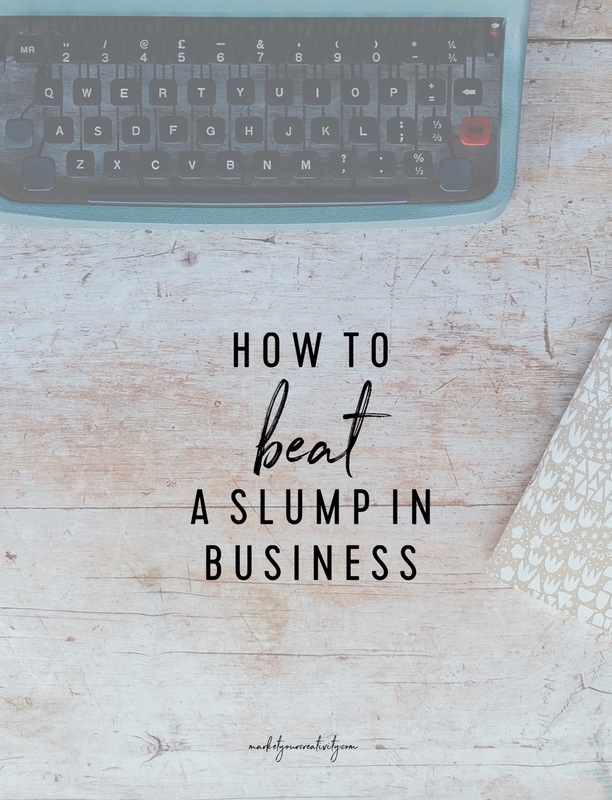 A slump is an unproductive cacophony of “I should’s” and “f–k it’s.” It feels miserable, and how you feel about your business is never a good measure of its success. A thriving entrepreneurship is based on seasons, and it’s time to appreciate and utilize its natural rhythm. For example, one of my clients came out of a phenomenal holiday season; her sales were off-the-chart from both show and online. About two weeks later, she wrote me an email to say that now everything she’s doing is “resulting in crickets.” She’s clearing flying by the seat of her pants; riding high during busy season and crash-landing as soon as it ends. Let’s look at it another way: Her business is doing fine, but she’s failing to utilize its seasons. This isn’t about what happened last month or what online campaign didn’t produce the results that you anticipated yesterday. It is about understanding the peaks and crests of your business so that you can plan and persist accordingly. In my experience, a slow season (or even a slow period within a strong season) is the primary cause of a slump. It’s the result of waiting for things to happen (instead of making them happen). During this time, it’s natural to consume more than you create. For us that means more clicking, comparing, and checking; we’re all prone to the same weaknesses. Grant Cardone, author of the 10X Rule describes this as being used by social media rather than using it—such an important distinction. Slumps produce enormous amounts of tension in and around the lull, which is why it feels miserable. The only thing that cures the rut is probably the last thing you want to do, which is to take action. This strategy enables you to keep your priorities in order of importance: Your life then your business. It will not only help you eliminate the daily scramble for sales, it also guarantees you’ll improve your results and enhance your career. First, look at the coming year and identify where you’ll need time off, such as summer vacation, winter holidays, important dates, back to school, etc. List these special events on your calendar before listing business-related projects or promotions. Notice that these personal occasions are on the calendar long before any product or promotional launches, and you can see my year already starting to take shape. I’m obviously not going to launch a new course or host a busy promotion in December (or worse, as a last-minute scramble for business) because I’ve already claimed white space in my calendar that month. I can set up the rest of the year to ensure I get time off. The next thing you’re going to add to your calendar is your busier seasons. If you have an existing business, you can check your annual statistics for the months where you get most traffic. If not, you can use my examples as a guide. It is the nature of business to have hot and cold seasons, most do. This technique is in place to help you utilize those seasons to their fullest. For example, it seems like everyone is on the internet in January, whereas in February, nobody’s online. There will be plenty of average months in between, but it’s important to take note of the high and low tides in particular. Finally, you add the money makers. There are many different ways your business can earn money, but I’m going to advise you to specifically name three to six money makers. These will be the larger promotions or projects that anchor your entire year. When scheduling your money makers, you’re going to naturally avoid the slow seasons and steer clear of your personal occasions. So much is revealed when big projects are added to the annual calendar. Now you know when you need to be working on what. Rather than be stifled by the slow seasons, you can use them to your advantage. You can start prepping, promoting, and creating excitement around the next big event. You can make your best seasons even better. With this big picture in mind, you will know when your efforts will be rewarded. Your business rises and falls according to the effort you invest. When you know your seasons, you can create your own peaks and crest rather than become victim to them. If the cause of your rut isn’t a slow season (which is quite natural for all businesses), the 30-90 rule is your next line of questioning. Whenever you find yourself experiencing a slow month (30 days), look back 90 days on your calendar to find the cause. Years ago, I taught the 7-touch rule to marketing in which you can expect to present an offer to a warm contact at least 7 times before they’d buy. Additionally, I referenced the 20-step guide to advertising in which you have to advertise to a cold contact up to 20 times before they’re interested. A warm contact is someone who knows and trusts you already, and a cold contact is someone who’s just finding you for the first time—no trust established. Those rules have radically changed in a short period of time. With social media, you’re bombarded with sales messages in a most personal way and at every turn. Therefore, it typically takes as many as 20 touches before a warm contact buys, and as many as 50 (!) introductions before a cold contact takes interest. And that’s why what you were doing 90 days ago effects the 30 days you’re experiencing now. I’ve just enjoyed a phenomenal period of new sales and sign-ups, which is random and unusual for the middle of summer. But if I look back 90 days, it all makes sense. I was running an experiment three months ago: I amped up my output (marketing 5x my normal shares on social). I was everywhere all the time, and because of that, people who were just finding me back then are buying from me now. Likewise, I experienced an incredible sales slump on the 2017 edition of Your Best Year. It sold less than its predecessor (Your Best Year 2016) which made absolutely no sense because it was better and already had an enormous fan base. For months, I struggled to make sense of it … until I considered the 30-90 rule. 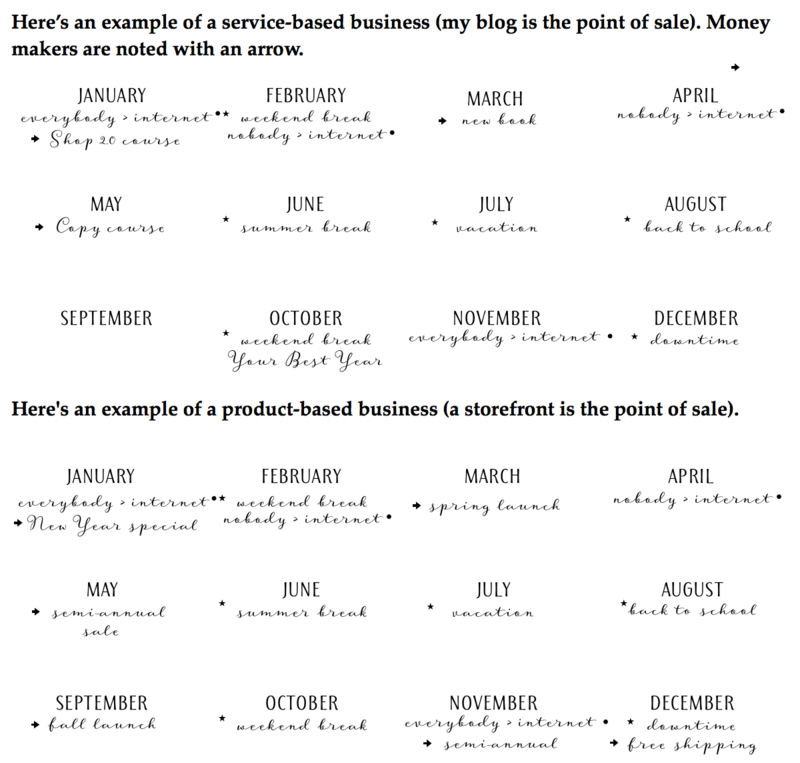 Every year for the launch of Your Best Year, I blog about it for months starting in October. Only, last year I didn’t. Instead, I moved houses and took much-needed time off to help my family readjust and recover from the transition. When I was experiencing slow sales in January, it wasn’t because of what I was doing in January. The book’s popularity suffered because of what I’d failed to do in October. That’s why it’s so important to keep your goals front and center, work ahead toward the big picture, and never let a slump slow you down. Otherwise, its effect will hit you twice—now and again in 90 days! I decided that 2016 was the year I was going to fine-tune that machine. I realized there was a good reason I wasn’t hitting my goals. Every December from 2010-2015, while in review and reflection, I wrote “six-figures” as a goal I’d like to accomplish. Then, I’d start to strategize the products and services I could offer to achieve that financial goal (based on the previous year’s earnings), and the numbers were always askew. What I believed I could earn never added up to what I wanted to earn. Okay. Just be sure you double last year’s salary. And guess what I did in 2015? I doubled my last year’s salary. Nothing more, nothing less. In this business, you get exactly what you ask for. Your return matches your effort—always. In 2016, I actively changed everything in my life and business that felt out of sync. Change is upending, no question, but I was tired of keeping my problems. Therefore, I didn’t take it one step at a time; I jumped the entire flight of stairs. I looked at what I’d been struggling with for way too long. I decided to move the needle. I schedule exercises of change into my calendar now, whether it be a workout (to lose weight and feel better in my skin) or a 90-minute power session to work on a project that will become a long-standing asset to my business. In the last twelve months, I moved my family to a new neighborhood that inspires us, firmly closed the door to toxic relationships in my life, stopped pinning about travel and started planning it—this year, my family visited New York, the Bahamas, Disney World Orlando, and Charleston—PLUS I took a creative retreat just for me! 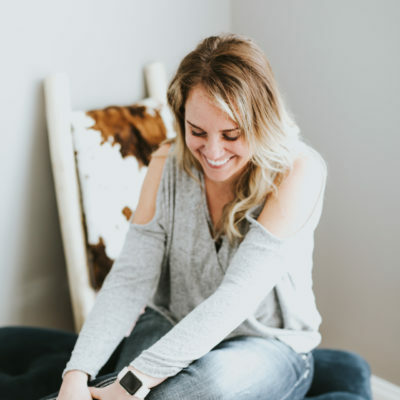 I invested thousands of dollars into my own training, tens of thousands into the future growth of my business, and hired a full-time assistant, bi-weekly housecleaning crew, brand designer, web developer, and professional photographer. I also stopped eating grains and lost the ten pounds that had been plaguing me for years. To beat a slump in either life or business, you must move out of it. This summer, when my income dipped and business slowed, I too landed in slump zone. To get myself out of my disgruntled state, I had to face the thing I was avoiding. There was a project ahead of me. It’s one that I love with all of my heart, but it also consumes my life and promises great periods of grind. Writing a book is hard, but so worth it. It’s going to be everything growth- and results-oriented. It will demand change. It will cure your slumps, demolish your fears, and fuel your advancement. Oh boy, here it comes. Your turn. What’s causing your slump? What are you putting off in avoidance? 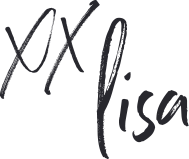 You know Lisa, I know what causes my slump and it is that darn lack of “consistency.” I know consistency pays off every single time. I’m consistent for a while and then life hits and I slack off and you are 100% right, my results reflect my efforts. What I’m truly focusing on right now in my business are “habits” and I’m working through a process called habit stacking where I’m adding good habits to already existing habits. I’m determined to end the slack off time, or when life happens, have systems in place in order to handle the times when I absolutely must step back from the business. LISA!!! Your website looks amazing!! Saw your Insta Story and just had to pop over and take a look. Congratulations on a beautiful site. The first line of your post resonated with me, then the entire post! You are spot on in describing a slump. My slump has been so long that there is hardly a hearbeat right now. You are also right about taking action and planning. I have learned to tackle one problem at a time, and just get into the office and force myself to figure it out. So much work to do, but it’s good to know when all the bells and whistles are in place that consistent heavy marketing will yield results! Can’t wait for the 2018 book! Keep up the awesome work! Great tips! I have already planned out my revenue by month, but I need to use your tip and plan out my schedule. I know there are months, like summer, where I want to slow down my work so I can enjoy time with the kids. I need to plan so I do not stress over that time! I’ll be sharing this post with my audience, too!